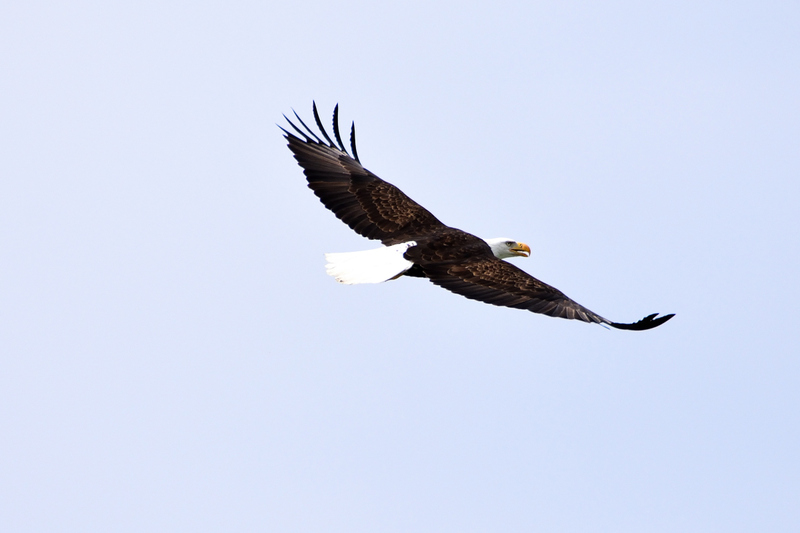 A Clark Lake eagle eye spotted something worth noting about yesterday’s eagle sighting (Wednesday, April 11). 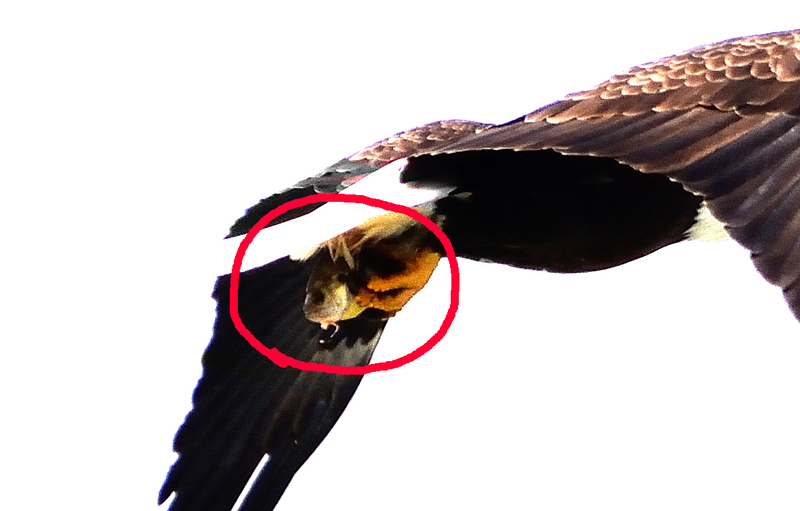 Upon viewing the photos, John Deming noticed the eagle had something in its talons–a small bluegill. 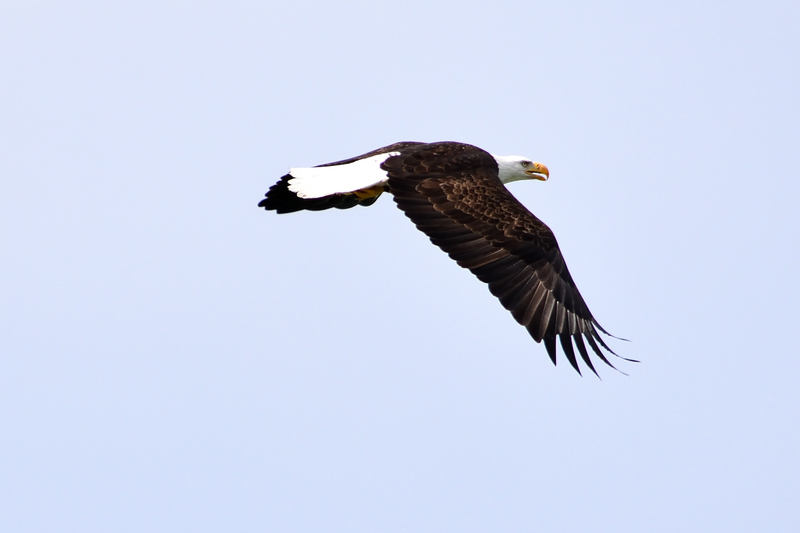 You can see the eagle’s prize in two of the sequenced photos as it takes off over the Eagle Point shoreline. This discovery adds some context to the fracas that occurred. 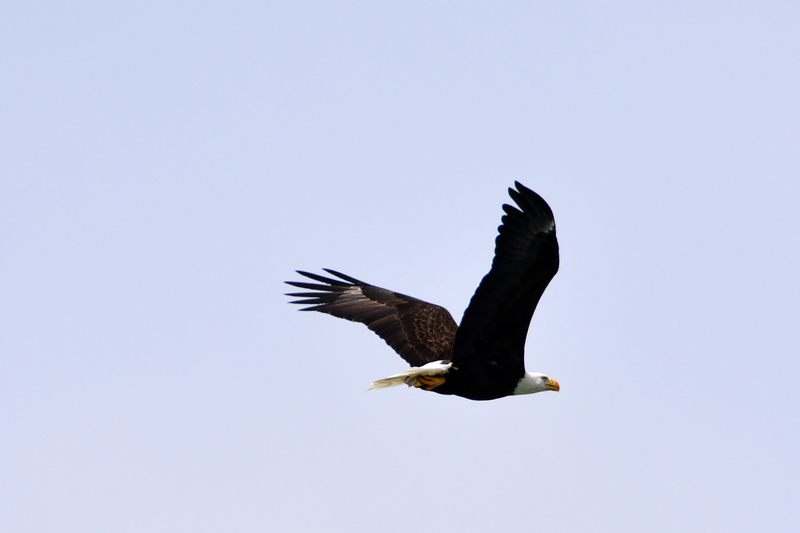 The eagle apparently had been fishing in an area some crows thought belonged to them. 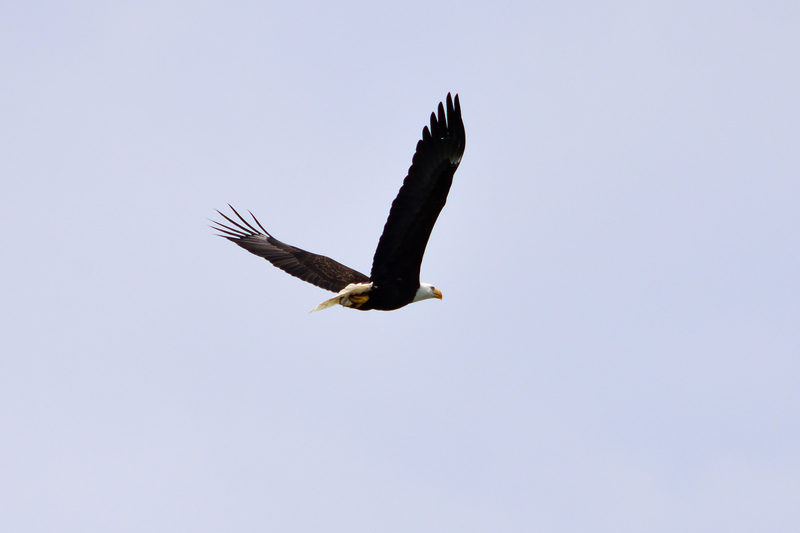 The crows pestered the eagle by flying at and around it. 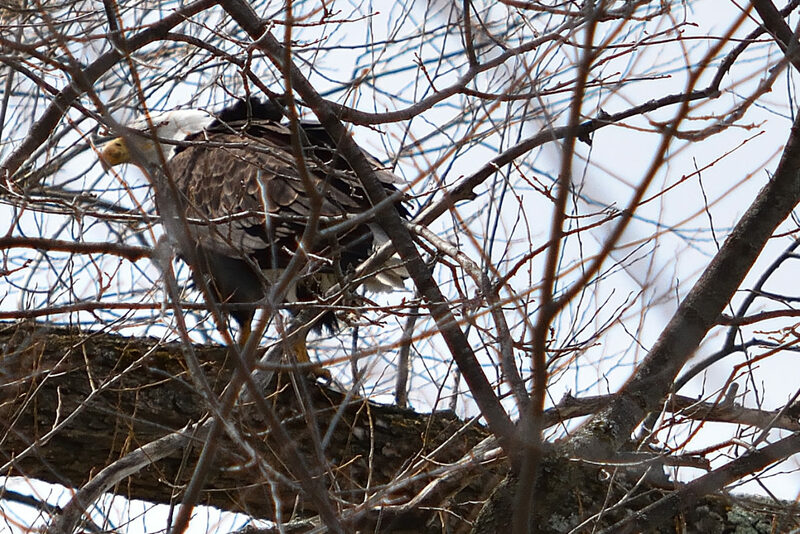 The eagle took refuge in the June’s tree and sat there less than a minute. The crows continued their physical and verbal protests. The eagle responded with some screeches of its own, but eventually thought better of hanging around. 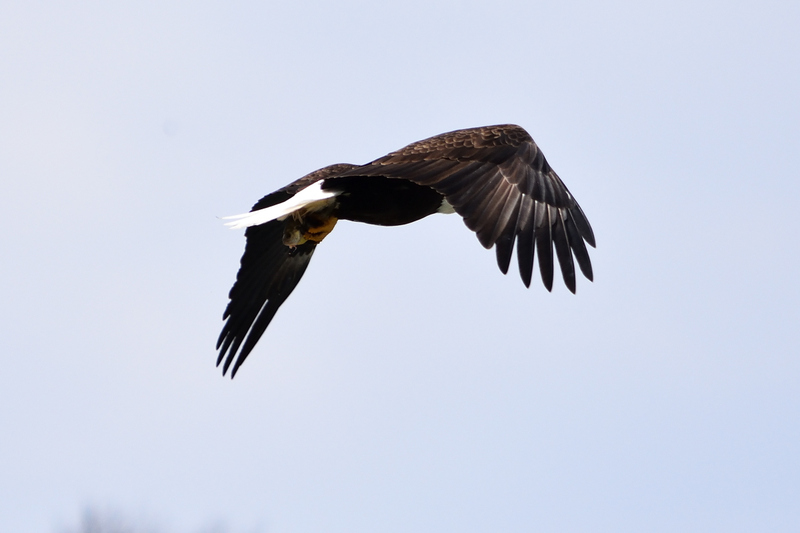 As noted in the previous story, the eagle then took flight along the shoreline heading north. It then veered inland, perhaps heading toward its namesake. 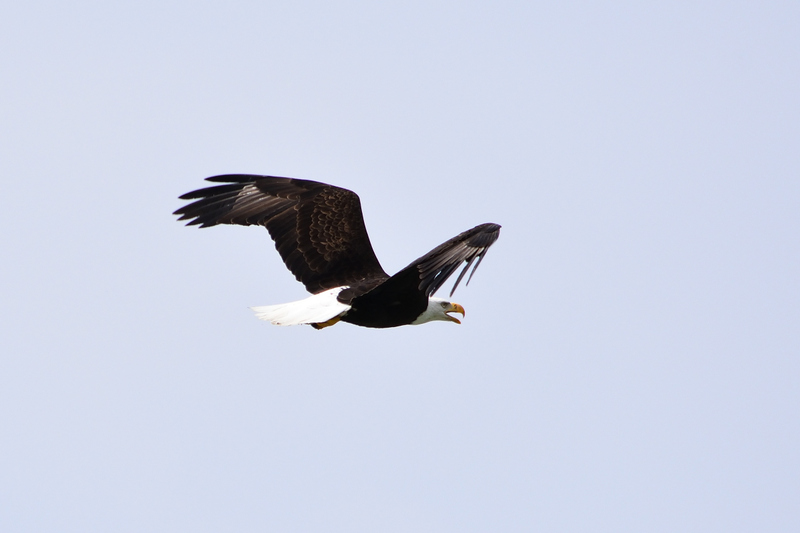 In case you missed it, here are the photos in sequence.